Prevention & Management of Occupational Violence & Aggression (OVA) is aimed at all staff who work with the public who may be at risk of verbal or physical aggression or violence. In this training workshop the following will be covered: assessing risk and minimising risk; managing your own feelings in difficult circumstances, ethical response techniques. Along with learning how to defuse a possible situation before it escalates out of control. 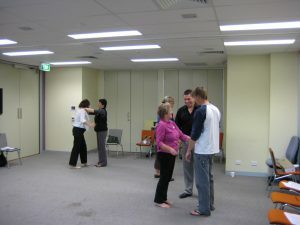 Participants will be taught a range of techniques to keep everyone safe that are non-punitive and do not cause pain”. Training is normally offered as a full day training from 9-3pm but we have a special half day workshop available.